From a review of Firemen’s health insurance company, it was determined that this company was started by a social organization that supported the widows and orphans of firemen. This business is owned and supported by Allianz AG, its parent company, which is actually a global German business with its headquarters in Munich. This is also a global financial services company with many affiliate businesses, to include Fireman’s Fund Insurance Company. To get health insurance quotes today, simply enter your zip code here to get started. 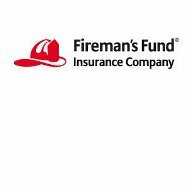 Fireman’s Fund has been around since 1863, and has been involved in some of America’s most memorable experiences to include the California Gold Rush, as well as the great Chicago, Boston, and Virginia City fires. They were also on the scene of the San Diego fires, California earthquake, and 9/11, in addition to the most recent hurricanes, Katrina, Wilma, and hurricane Rita. If you have a yacht and want to break it in with a yacht party, Fireman’s Fund can insure your yacht and the party, just in case. You may even be eligible for a multi-policy discount. Your multi-policy discount could also be applied to your homeowners and auto insurance policy. A small home based business may only need general liability to cover losses related to individual lawsuits. Transportation businesses may need fleet coverage for four or more vehicles. Professionals may need errors and omission. Your agent is qualified to assist you with identifying the type of coverage your business needs. These businesses will also benefit from Fireman’s Fund services such as the Disaster RiskAdvisor or Green RiskAdvisor. This company’s protective services help prepare you or your business against catastrophes. The Disaster RiskAdvisor is offered on the company website and through your agent. It shares information on how to prepare your home in the case of a hurricane, earthquake, wildfires, or any other disaster. The company’s Green RiskAdvisor informs policyholders about the many ways to go green. It has been determined that many businesses and individuals save money using the suggestions offered by Fireman’s Fund and green experts. If you want to take your company in a new direction with a location that promotes green business, this company will help you make the improvements needed to become green certified. Fireman’s Fund standard RiskAdvisor portal is your company’s resource for managing risks associated with your business. This service allows you to work directly with your agent to minimize these risks. The objective is to minimize the number of worker’s compensation claims and general liability claims. When your company files a health insurance claim it may be as a result of an accident on your property or in one of your vehicles. Every time an incident occurs, it costs the company an expense, no matter how small. It may be something that was preventable. These are the accidents Fireman’s Fund RiskAdvisors want you to avoid. Risk management workshops and seminars show you how to avoid common accidents. They also teach you how to recognize employees with malice intent. You will learn how to implement safety guidelines and policies to alleviate unnecessary costs. Many workers’ compensation programs require an immediate drug screen whenever there is an accident on the job. Studies have proven that many accidents happen when employees are under the influence of prescription or street drugs. This simple step may relieve your company of liability. You also have to protect yourself from fraud, which is rampant nowadays. Workers’ compensation fraud may be at the top of the list. However, there are other types of insurance fraud as well as. More online information will educate you on what to look for on the subject. To get online health insurance quotes today for your business, just enter your zip code in the search tool to start the process.